The X5 joins a growing list of new BMWs resurrecting the once-lost ultimate driving experience. If you were to guess what BMW’s best-selling model is, which one would you nominate? The 3 Series? Nope. The 5 Series or 7 Series? Not those either. What about the M3 or the M5? Not even close. Despite being the first cars to come to mind when you think of BMW, they are far from the best-selling ones. If you guessed the X5 you’d be correct, though BMW representatives say the top-seller award changes hands between the X3 and the X5. We already reviewed and fell in love with the latest X3. 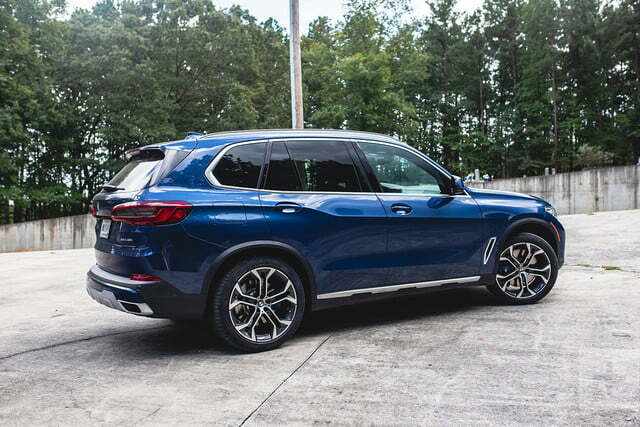 The all-new fourth generation X5 is next on BMW’s launch list for the 2019 model year. 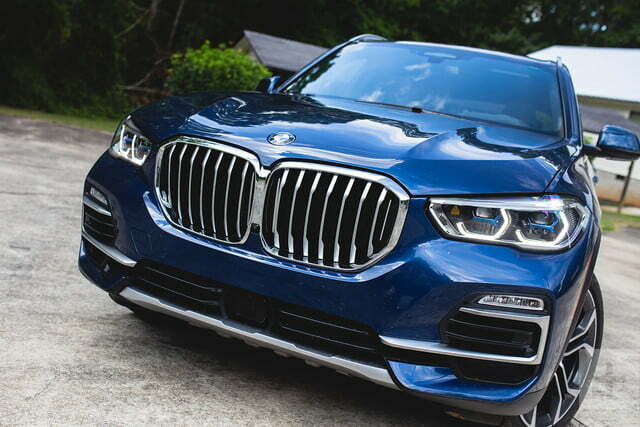 We had a chance to get our first impressions of BMW’s latest sports activity vehicle in Atlanta recently. With its $60,700 starting price, the X5 can be cross-shopped with quite a few alternatives. The traditional battle continues with the newly-reworked Mercedes-Benz GLE and the upper tiers of the Audi Q7. But that $3,000 hike over the outgoing X5 makes the competition – the Acura MDX, Land Rover Discovery, Infiniti QX60, Jaguar F-Pace, Cadillac XT5, Lexus RX, Volvo XC90, and Range Rover Velar – look way more value-driven than ever before. Opt for the far pricier $75,750 V8 model and you’ll find yourself on the same battleground as the Range Rover Sport, Maserati Levante, Porsche Cayenne, and even the full-size Mercedes-Benz GLS. You can’t forget the Jeep Grand Cherokee SRT8 or Trackhawk Edition if performance SUVs are your thing. The number of buttons is also kept to a surprising minimum, especially considering the reputation German automakers have of cramming in way too many of them to compensate for all the tech. However, we wish the HVAC temperature controls were still dials because they were much easier to use than the rocker buttons that replaced them. And the crystal gear shifter screams “Volvo copycat” a little too loudly. Those are minor quibbles for what’s otherwise a well-designed interior. And with a car that sells as well as the X5, it’s better not to fix what isn’t broken. 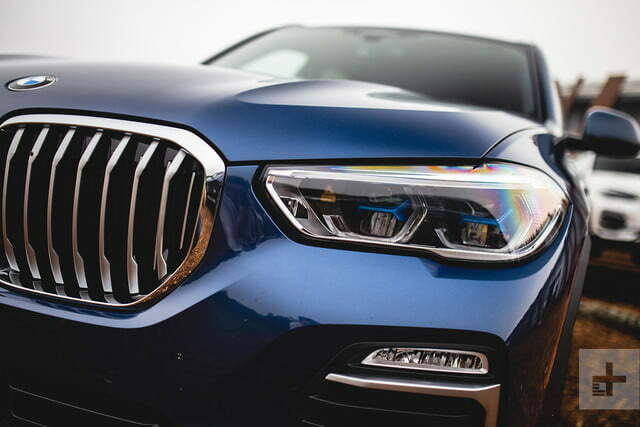 But that doesn’t mean the 2019 X5 is shy on technology, because it isn’t. 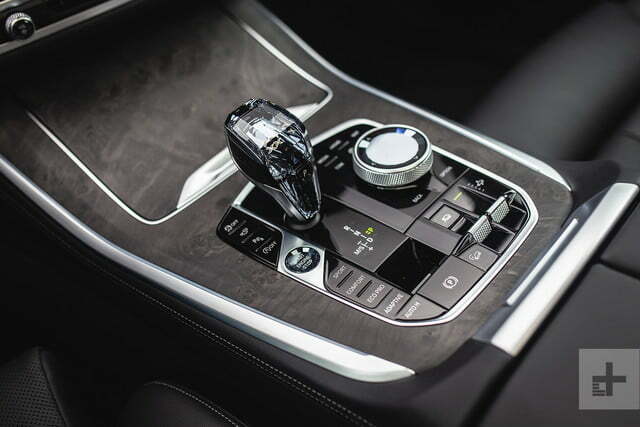 All of the X5’s gizmos and functions are primarily managed by iDrive. After entering the new X5, one is greeted by a far plusher and more luxurious interior than the outgoing car’s. 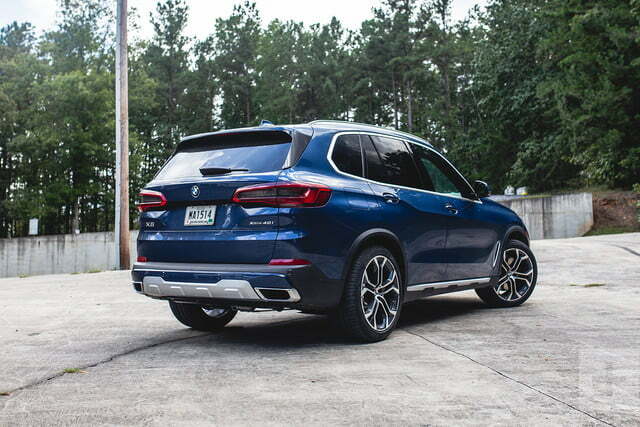 If you’ve been acquainted with BMW’s iDrive system over the past decade or so, the 2019 X5 won’t feel like distant territory. Rather, it feels similar but more refined than in previous generations. There are still some quirks: some menu options and locations can feel redundant and misplaced. 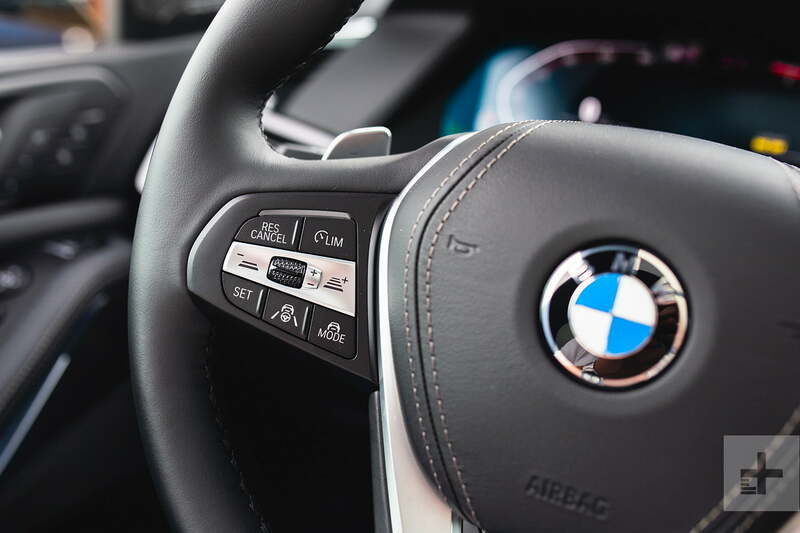 And, if you’re a New Yorker/New Jerseyan who likes to talk with their hands, BMW’s gesture control technology can actually get rather annoying. Ask us how we know. 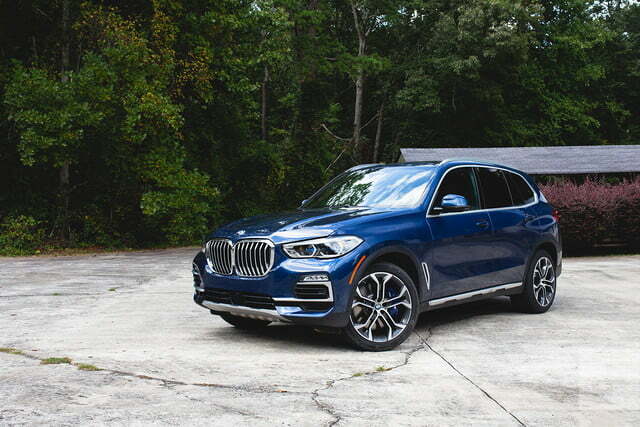 With the new X5, BMW also rolls out its latest BMW Connected software, the company’s customer-experience-driven application and connectivity suite that basically serves as your vehicular butler. It can connect to Apple and Android devices thanks to apps available in the app store and pairing capabilities with Alexa and Google Home devices. When connected—no pun intended—the system performs some neat features, like finding the best route for your morning commute to circumvent traffic. Eventually, BMW hopes to roll out real-time parking information for dense metro areas. The 2019 X5 comes standard with a suite of driving aids including blind-spot detection, lane-keep assist, rear- and front-cross-traffic alerts, and pedestrian detection with automatic braking. BMW groups these features under the name Active Driving Assistant. Most competitors offer similar technology. Unfortunately, we do miss out on a few cool features bespoke to European models. The optional display key found on the 5 and 7 Series cars isn’t available on the U.S.-bound X5s. And we also don’t get the company’s trick Sky Lounge panoramic moonroof, which lights up like a Christmas tree with LEDs featuring a variety of hues. Our tester came with the lovely 3.0-liter, turbocharged straight-six engine, tuned to 340 horsepower and 332 pound-feet of torque and bolted to a ZF-sourced eight-speed automatic. The drivetrain left us with no complaints in the performance department, with BMW claiming a 0-62 mph time of just 5.5 seconds. If you were expecting another disappointing review of a BMW, we’re actually happy to report the opposite. This time around, all X5s come with an electronically-controlled adaptive suspension and offer the option of a pneumatic air setup which is part of the off-road package — we’ll get to that in a second. 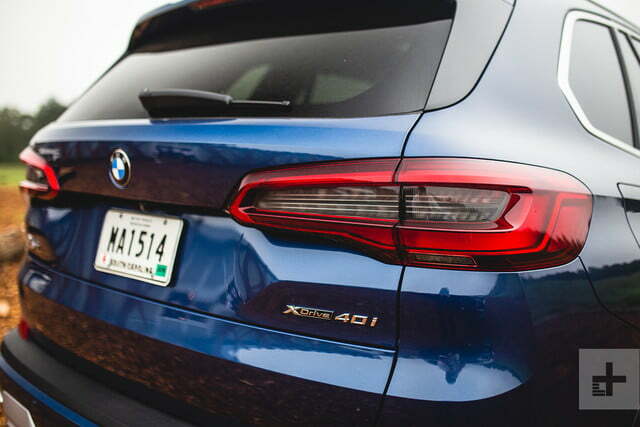 Like other models sporting the Roundel emblem, the X5 places road-going handling and stability above all. Cruising on the interstate at highway speeds makes you feel like you’re only experiencing an iota of the X5’s potential. BMW’s clever navigation system with real-time traffic information rerouted us around Atlanta’s terrible morning rush. We found ourselves traversing the hills just south of Chattahoochee National Forest. Once on the swoopy bits, the X5 felt athletic and brutish with plenty of forward grunt on the straights. If the turbo-six is more than adequate, we can’t imagine how much more we’d be grinning with the turbo-eight under the hood. BMW always pitched the X5 as a road-biased crossover SUV. That was made obvious throughout the years as we tested X5s in conditions normally suited for a Range Rover, where it often failed. When the X5 was conceived, BMW owned Land Rover and feared making its SUV more capable off-road would create internal competition. That’s no longer the case, and the X5 is no longer confined to paved surfaces. The off-road package adds an air suspension that unlocks an adjustable ride height. 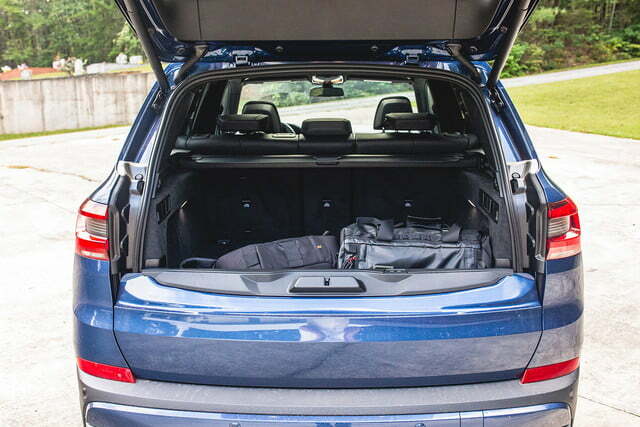 In this configuration, the X5 exhibited a level of off-road prowess that we were simply not expecting, especially considering its road-biased, run-flat Pirelli tires. Through a heavily-forested off-road trail better suited for a Jeep Wrangler, BMW’s test drivers took us on a loop that involved a lot of hill ascending and descending in damp and somewhat muddy conditions. 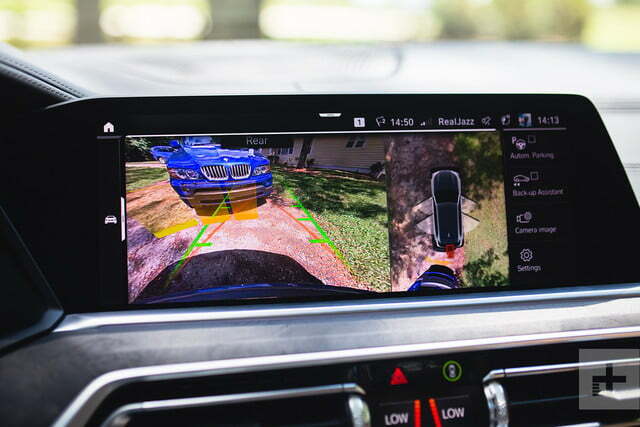 When it came to creeping around tight corners with raised obstacles — such as large rocks or tree stumps — the X5’s 360-degree camera system went straight to work, pulling up exterior views of the car on the center display, depending on where the obstacle was located. There’s also a gyroscope and other directional information, all apart of the off-road package to improve visual maneuverability. Owners of these fancy SUVs are unlikely to drive through such conditions. But it’s comforting to know the capability is there, just as much as the road-going ultimate driving experience. All BMWs come with a four-year, 50,000-mile warranty for everything, including the engine and transmission. BMW placed eighth in the 2018 J.D. Power Vehicle Dependability Study, tied above Toyota with 127 problems per 100 vehicles manufactured new. That’s down one place from last year’s survey. BMWs in general have a reputation for being reliable and dependable under warranty and when cared for punctually. If you plan to own and drive the vehicle past its warranty period, we advise extending the factory policy as BMW parts and dealer shop labor rates are known to be quite wallet-busting for the average person. If money was no object, we’d probably spring for the V8 model since, well, who doesn’t love lots of go-power, especially in a BMW. Though from just testing the six-cylinder base model, it’s more than adequate, even for the power-hungry, thanks to its superb tuning. 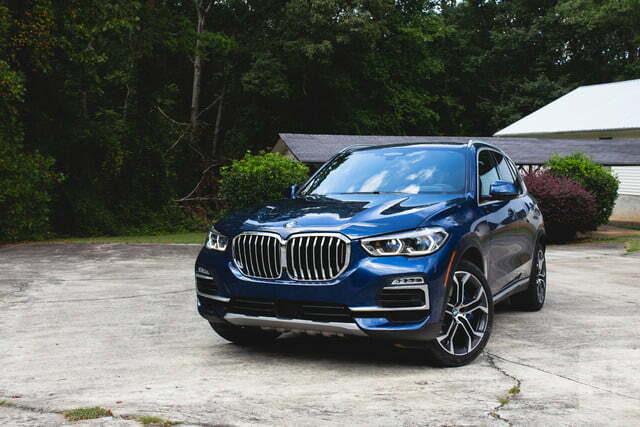 Because of it proportions and its status a luxury crossover, we’d take it with all the bells and whistles since there’s a lot of tech to enjoy in the X5. If money was no object, we’d probably spring for the V8 model. Keep this in mind: The fully-loaded, six-cylinder-powered 2019 we tested in Atlanta costs an eye-watering $80,230. That’s over $5,000 above the V8 model’s starting figure, which means you’ll have some hard decisions to make. Particularly since we can’t imagine the V8 model being modestly equipped. We could probably do without the X5’s off-road package, unless we decided to make camping out in the wilderness a frequent experience or lived in an area where road maintenance is questionable. Though we’d have to try one without the air suspension to be certain because the X5 already comes with an adaptive suspension. At that price point, however, if off-roading is a priority we suggest looking at the Range Rover Sport, Lexus’ GX and LX, and the incredibly capable Porsche Cayenne. All of the automakers competing in this segment have a solid foundation on which to make a great luxury crossover that strikes an excellent balance between versatility, practicality, comfort, and performance. But with BMW’s latest, the X5 proves that it can push the envelope even further and become one of the go-to luxury SUVs, especially for buyers who like performance and handling. Just be ready to part with a sizeable chunk of change for it.